Playmobil + NHL = a winning product. I am sure you know that I am talking about the Playmobil NHL series of products that are a hot product and receiving glowing reviews. As a Canadian family, hockey is just a part of our lives. 🙂 We love hockey and almost all of us have played or currently play. We also manage teams, coach teams, and well you get the picture. If you know me at all, then you pretty much can guess that if you mix Playmobil and hockey together, you have instantly won my heart over. The NHL Arena comes with all the team stickers so that your little hockey fan can make the players the teams they love. The set comes with 2 players per team (a goalie and a player) that you control. 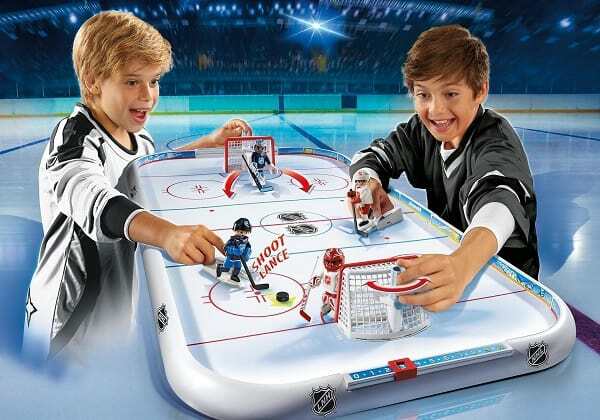 I think that a wonderful way to play with the NHL Arena playset is in an NHL shootout style of play. It is exciting and you can have the winner the first to reach a certain goal total. There are also accessories that you can buy to add on to your NHL Arena playset such as the rivalry sets. With growing up in Ontario, the Toronto vs Montreal Rivalry playset was a must have. Get ready for an epic rivalry game between the Toronto Maple Leafs and Montreal Canadiens, Boston Bruins and New York Rangers or Chicago Blackhawks and Detroit Red Wings. Skate, pass and shoot in the net to seal the victory and bring home the Cup with the PLAYMOBIL NHL® Rivalry Series! Set includes two hockey figures, puck, and jersey number stickers for added customization. The rivalry sets are awesome and allow for more players and team options when added to the NHL Arena playset. Another playset that is a great addition to the NHL Arena is the NHL Score Clock with Referees. The sound effects with the score clock are an awesome addition to the game. 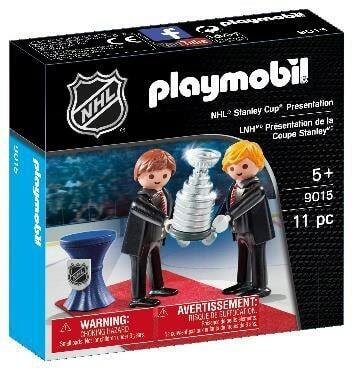 Of course an NHL set just would not be complete without the Stanley Cup and Playmobil has you covered with the NHL Stanley Cup Presentation Set. Your little one’s favorite team and player can hold the Stanley Cup up high when they win the finals. There are a tn of products and accessories for the Playmobil NHL series. The ones that we have and have gone over above have all lived up to the awesome quality that we have come to expect with Playmobil. For us, the Playmobil NHL products are products that will be kept and handed down over the generations. I cannot see our love of hockey ever dwindling away, so I am sure that this playset will be getting use for years to come. The recommended age for the playsets are 4 to 10 years old. There are choking hazards in the NHL playsets so this must be considered. Otherwise, if you have a hockey player, hockey fan, or just a Playmobil fan, the Playmobil NHL series is an awesome set to look at. 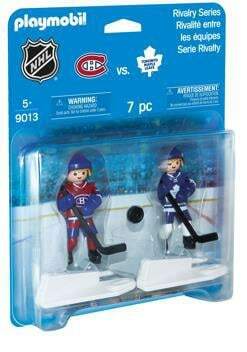 I have seen the Playmobil NHL series products at almost all local retailers that sell toys and Playmobil products. 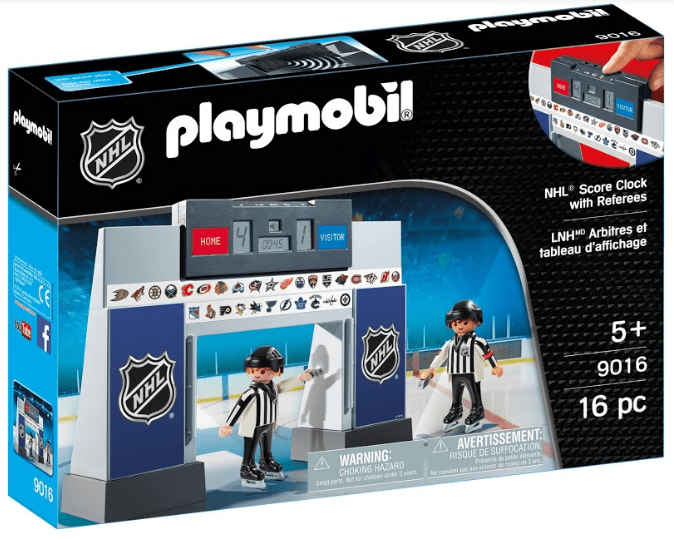 You can check out the entire lineup of the Playmobil NHL products by visiting them here…..